Nelson Mandela once said as inspiration in the light of education, “Each one, teach one.” Upon hearing this phrase, it immediately became the guiding light for my career as a teacher. 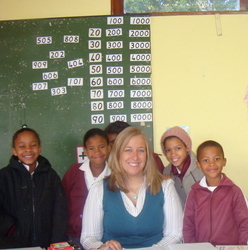 I was given the extraordinary opportunity to teach abroad in South Africa in the summer of 2009 through the Michigan State University Study Abroad program and the College of Education. I had no idea what was in store for me as I boarded the plane for a twenty-two hour flight to Cape Town, South Africa. South Africa has a rich culture, amazingly warm people, and a beautiful landscape. Whilst this vision of the country holds true for a lot of areas, I was placed in one of the poorest primary schools in South Africa. 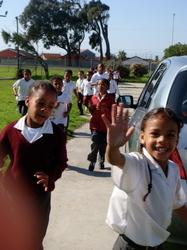 The majority of my learners came from homes with abuse, unemployment, and poverty. Although they found themselves in these unfortunate situations, I was always greeted with a smile each morning. 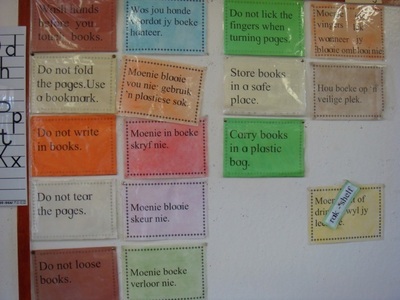 Their love for learning was unquestionable. 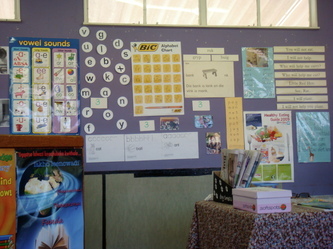 I was in a second/third grade split classroom. 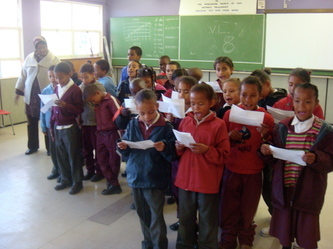 It was a very unique classroom because two languages, English and the native language of Afrikaans, were both used in instruction and learned by half of the class. This was quite a challenge during my stay there. My lunches consisted of asking the janitor to help translate some worksheets I made into Afrikaans so that I was able to teach to the entire class. Before coming to my school, the teacher of this classroom was elected acting principal of the school, leaving my students without a teacher. Therefore, I had my own classroom, which made the experience even more unforgettable. 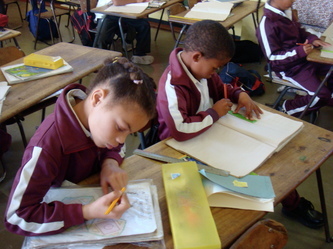 Imagine a classroom where there are only five pencils with no erasers to share amongst twenty-nine students. 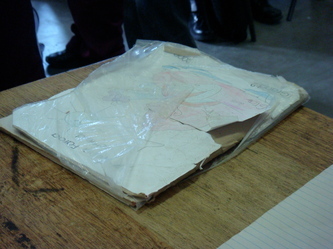 A classroom where the only evidence of books were notebooks that had been previously used the year before. 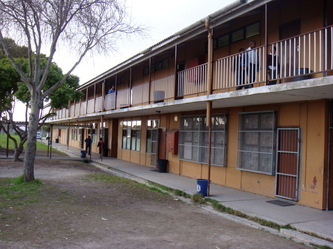 A classroom where students would run around the parking lot ten times as their physical education. Imagine a classroom where only twelve learners show up on a particular day because it is raining outside. A classroom where students are not disciplined for slapping each other across the face with rulers or throwing bricks at teachers. 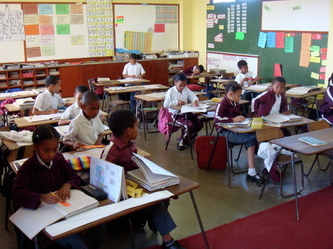 A classroom where some learners don’t come to school with shoes on because it was their younger sibling’s turn to wear them to school that day. On my trip, I brought with me a suitcase full of school supplies. To me, this suitcase wouldn’t make a dent in establishing a proper educational environment for an entire classroom, but to my learners it was everything. I taught wonderful lessons out of that suitcase. One has to be very creative under such conditions. 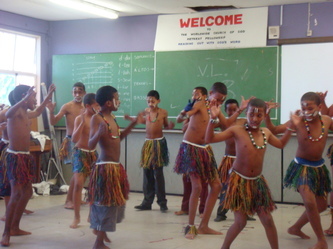 During my stay, those children experienced fun and meaningful learning. When I looked into my learners’ eyes I saw a love for learning, but I also saw that there was a part of each of them that needed hope. 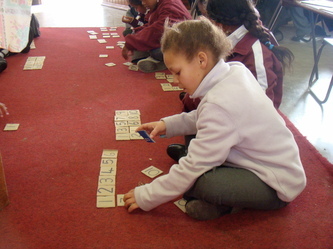 They needed someone to care for them, to give them support, to show them that their education is valued. 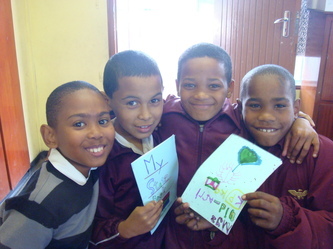 These bright children needed someone in their lives to believe in them and show them that with passion and the drive to continue their education, they can achieve their dreams. While this may have been my personal experience, I learned while taking courses at the University of Cape Town that this picture isn’t true for all of the schools in South Africa. If one goes down the road from my school they would find a school with Smartboards, computers at every student’s desk, and a sporting facility for nearly every sport. 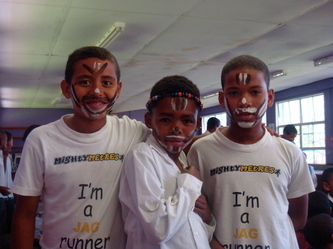 South Africa is a very diverse country and the differences between the schools demonstrate a prime example. This experience gave me an entirely new perspective. Since I have been back, I have been so much more appreciative of what I have personally, and what I am able to give to my students as a teacher. 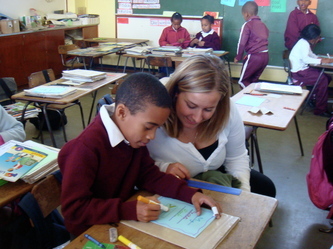 I believe every educator should have the opportunity to teach abroad in a place entirely different than their own. It was truly a life changing experience. As a young teacher, this experience allowed me to grow not only as a professional, but also on a personal level. My expectations were met beyond belief. 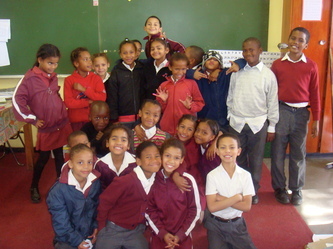 Not a day goes by that I don’t think of my students in South Africa. I wonder how they are doing, what their futures hold, and if anything has changed for them. This experience taught me something that one cannot learn from a book or by watching a documentary. It taught me the value of being a teacher, of making an impact on a child’s life, and of the desire to change the world one student at a time. 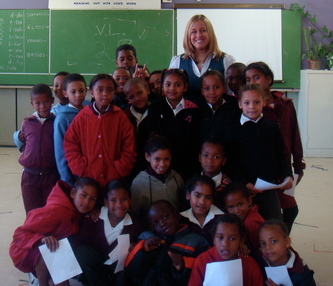 The memories I have from my trip to South Africa will remain a great impact in my career as a teacher and ultimately as a human being. Although only four simple words, Mandela’s quote has forever changed me and I will continue to live out his message for the rest of my life. The Impact of a Single Suitcase from Ashley Keine on Vimeo.